Since they’re brothers, do you think Mario and Luigi had to share a bathroom growing up? That’s never easy. 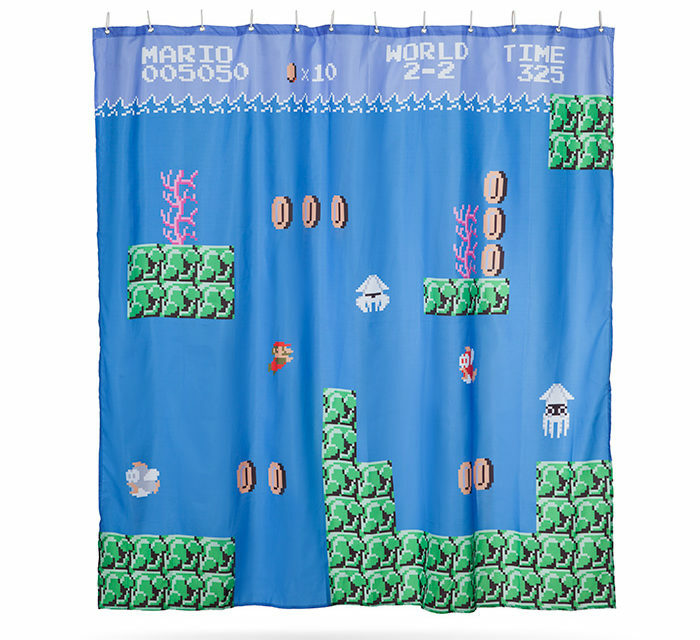 If there’s somebody in your family who takes too dang long during their turn in the bathroom, this shower curtain is your answer. After all, you only have 400 seconds to navigate 2-2. That’s less than 7 minutes, and nobody can use all the hot water in the water heater in 7 minutes, right?